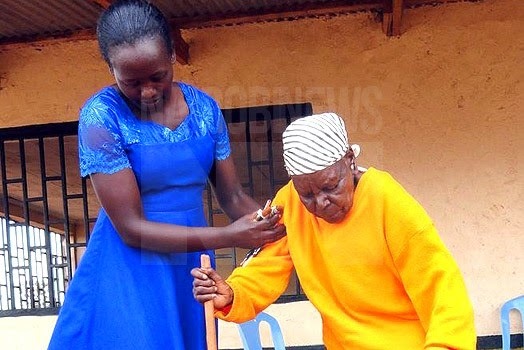 The100-year-old Margaret who had started serving a three-month prison term last week for contempt of court has finally been released from prison. Mrs Ngima was set free from the Embu Women’s Prison after Nairobi Senator Mike Sonko paid a Sh100,000 fine imposed on her. The coordinator of the Sonko Rescue Team in central and eastern Kenya Mr Pius Njeru Pinye, settled the fine on behalf of Mike Sonko. The elderly woman and her two jobless sons had failed to raise the money. Mrs Ngima was imprisoned for failing to honour a court order to allocate two acres of her land to an individual who successfully claimed adverse possession. “I saw the story in a newspaper and I was touched. I wondered why such an old woman would be jailed for contempt of court. I phoned the Embu court and paid the Sh100,000 through M-Pesa. I have the receipt with me,” said Mr Sonko.